Pictured above, Jeremy notices our speaking engagement sign with his usual enthusiasm. Next stop! 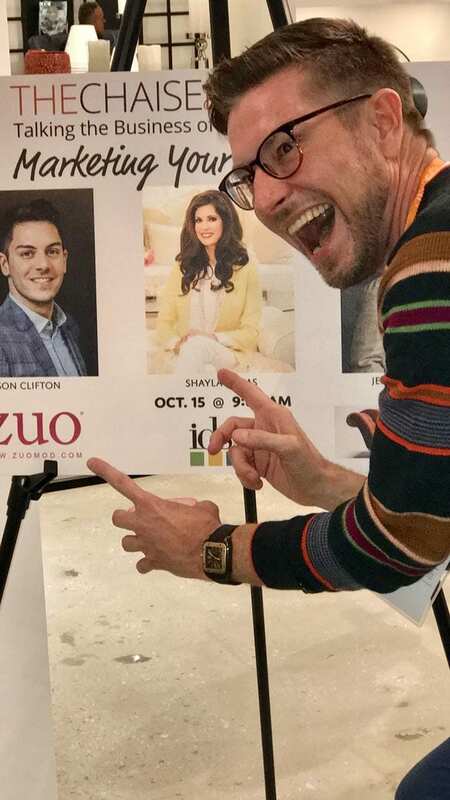 Instagram Takeover for DesignOnHPMKT and for our very own, At Home in Arkansas! 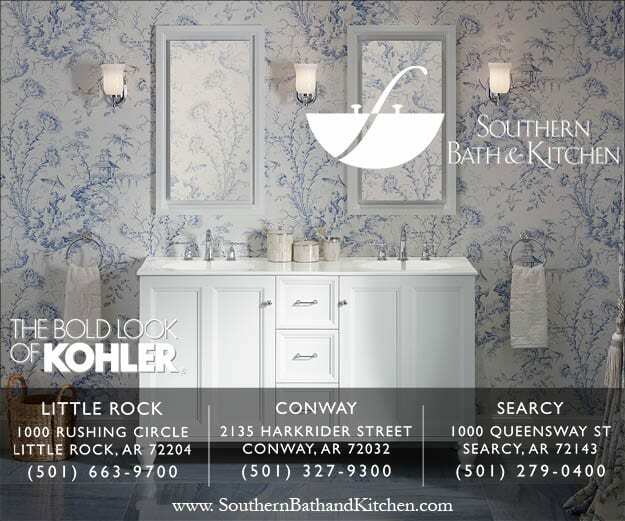 I had the opportunity to “spot” the latest fall trends for both our state publication and for market. WHAT FUN! Below are a few of our fab finds! Ooh lala! 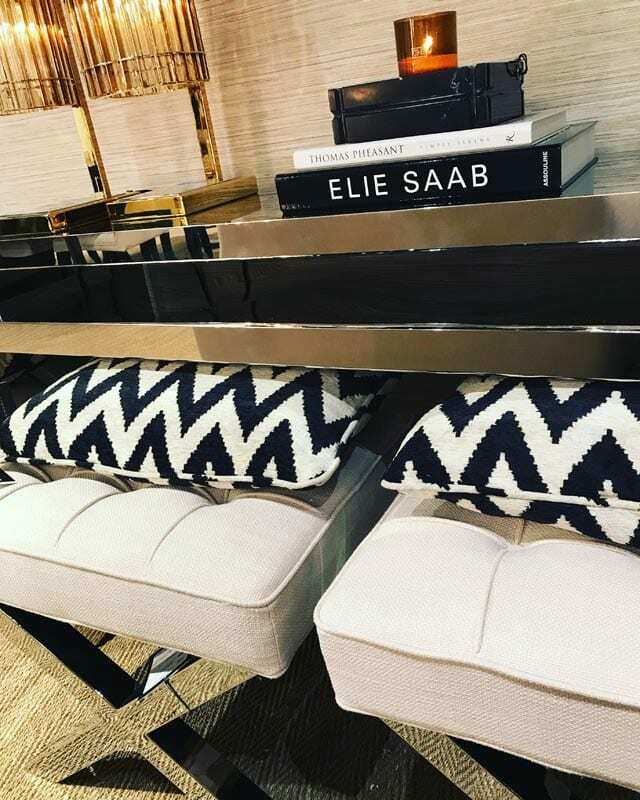 For one of my At Home In Arkansas Instagram takeover items I stumbled upon the Eichholtz Showroom and fell in love with their Beekman benches in Panama polished natural steel paired with their Esquire stacking console tables. They were definitely swoon worthy! 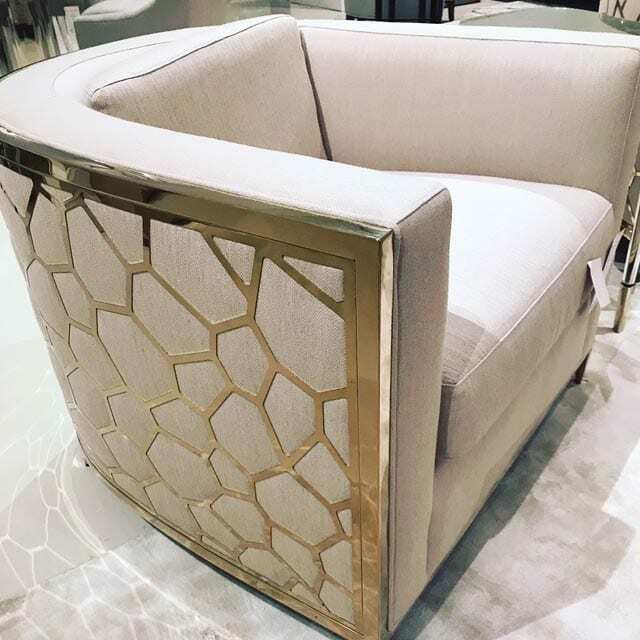 For the DesignOnHPMKT Instagram take over we headed to Currey & Company and spotted their swanky Braillen demi-lune. 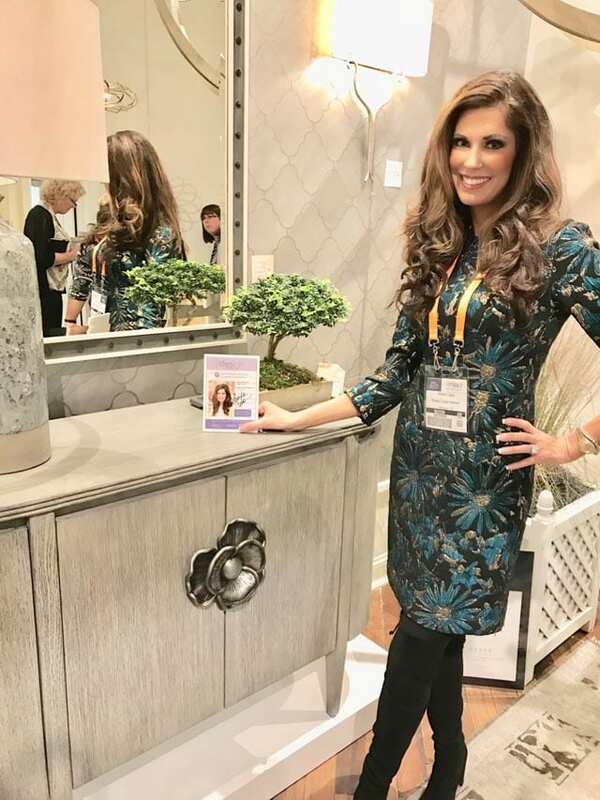 It’s light grey finish paired with floral antique silver hardware was the highlight of my day! 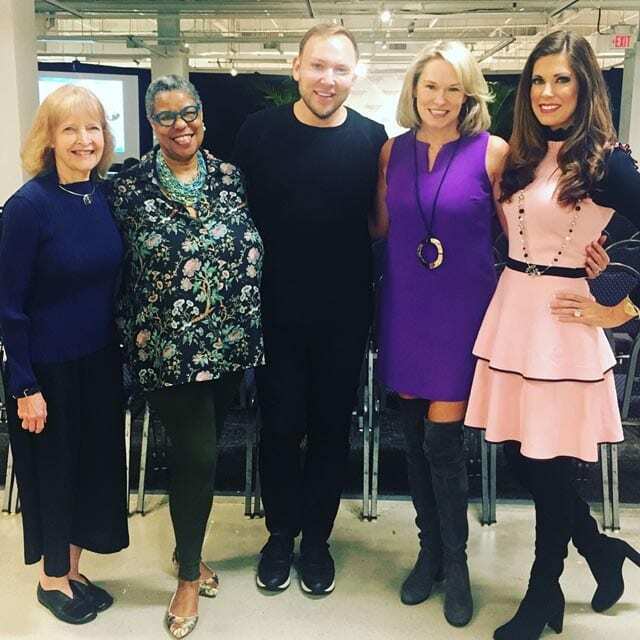 Our next fun adventure, was with Author/Designer Libby Langdon and other design colleagues as we gave a panel discussion on “Seasonal Design.” We enjoyed informing market attendees of the latest in seasonal trends. All of us were in agreement that mesh is a thing of the past and that glass and tradition are back! 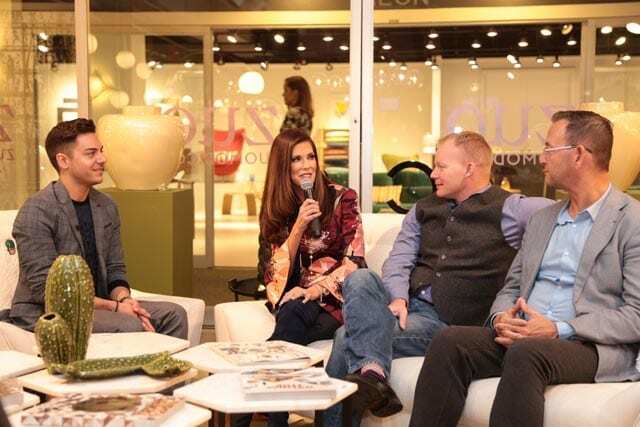 Above: a fun photo with our Seasonal Design Panel after our discussion. We enjoyed meeting all of them! Next stop…Suites at Market Square, to scout for our favorite vendors for my Suite Spot Tour. Each market, four designers give tours of the Suites and our job is to find two trending vendors per floor. There are SOOOO many fabulous vendors in the Suites it is like trying to decide upon a favorite child! However, after an entire day of scouting we settled on our favs! 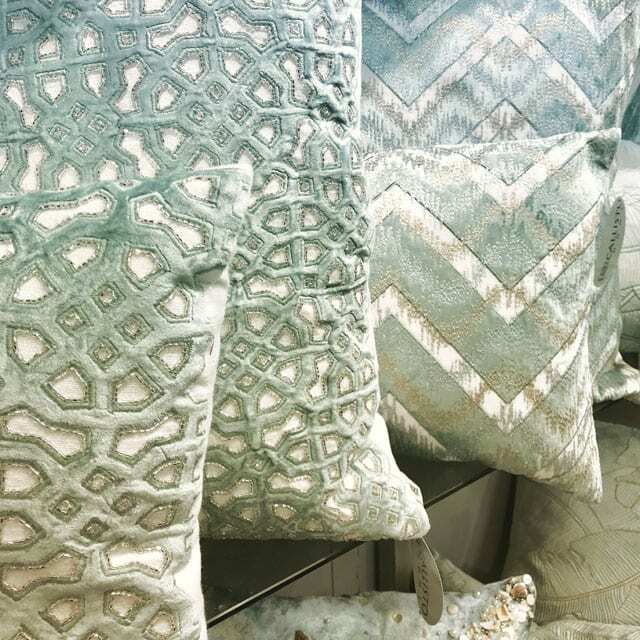 Above, are hand beaded velvet pillows by Callisto. Velvet is hot this season and almost every manufacturer was in on the trend. No market is ever complete without attending a social soiree or two. 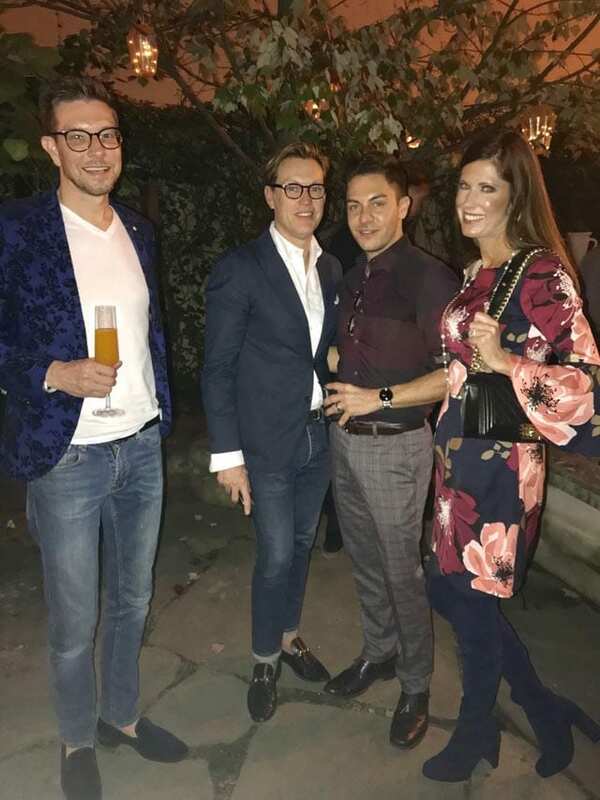 Veranda’s 30th Anniversary Party at Oly Studio did not disappoint; guests were treated to live music, champagne and incredible nibbles this gluten free girl can’t even begin to touch! 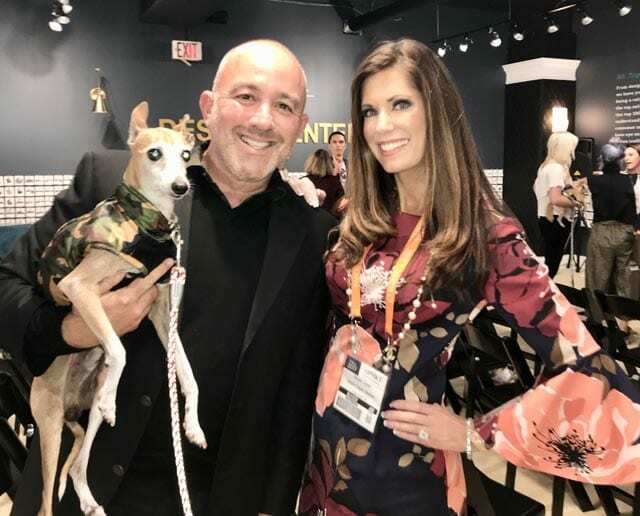 We ran into fellow Arkansan and top designer Kevin Walsh of Bear Hill Interiors at the soiree and introduced him to our design family from Alaska. We then headed to the Caracole Showroom to swoon over their HOT Ice Breaker Chair adorned in brass detail. Although this piece has been in their collection for awhile, it is still trending because of the brass detail. 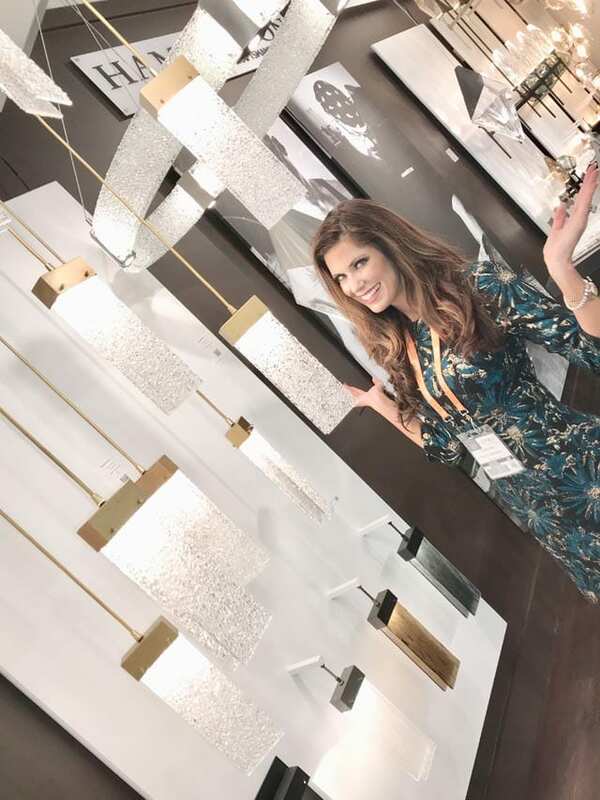 Next, we headed to the Abbyson showroom as we did not want to miss our fabulous friend Barrie Livingstone speak. Oh, and of COURSE Auntie Shayla wanted to see what his fashionable pup Rio was wearing. As usual, Barrie and Rio were a complete HIT! 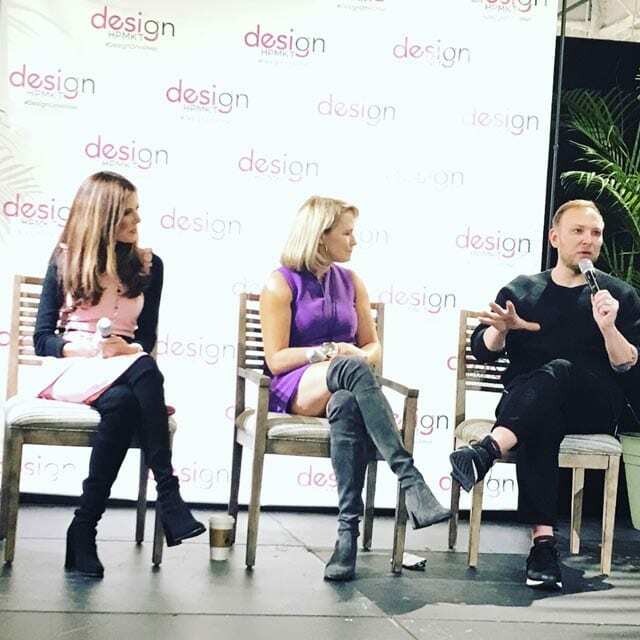 British born, Barrie Livingstone is now based in Malibu, California, and designs projects that span the globe from Los Angeles to Miami and from Dubai to Malaysia. 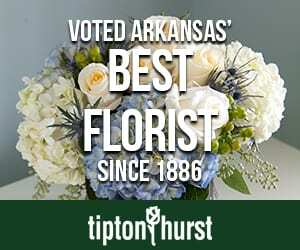 No trip to market is complete without a fun field trip to Furnitureland South! I call it Disney World for designers. Seriously, you can spend an entire weekend at Furnitureland and still not cover everything. 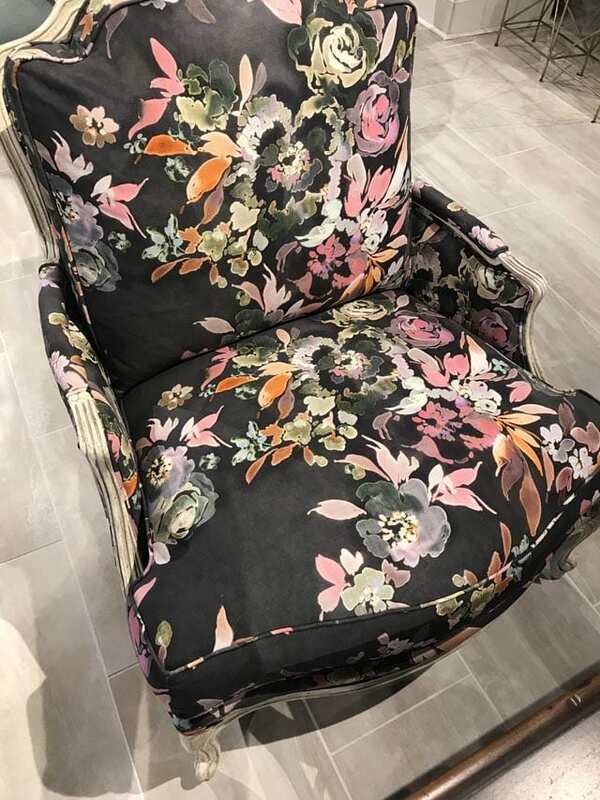 FLORAL is HOT and we spotted the St. Helena Chair from Ambella Home. With its large scale floral pattern it is trending for fall. 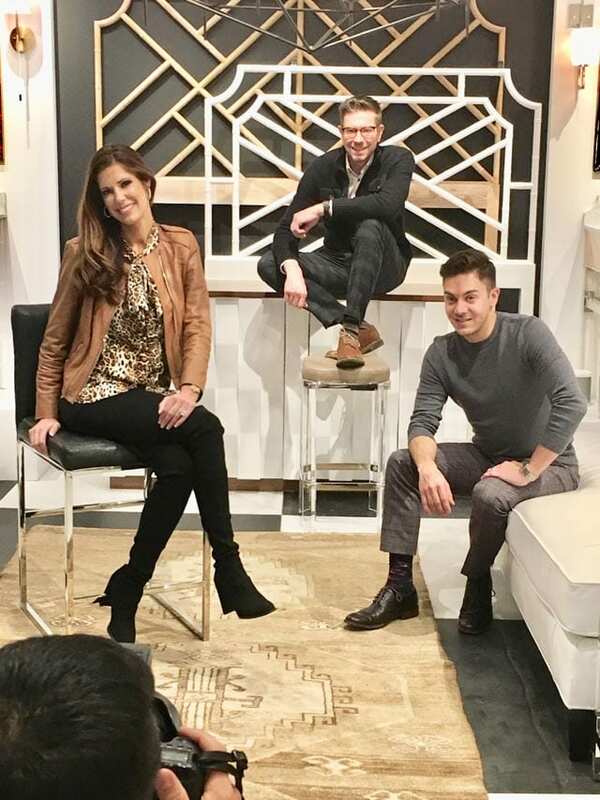 Last, but certainly not least, was a fun designer photo shoot in the Worlds Away Showroom with our good friend Yian. The Alaska and Arkansas Design Fam had a blast! I hope that you enjoyed my High Point Journey and I look forward to showing you more after the next market.